With wedding season in full force, I pulled out this LBD I got from Standard Style, a cute local boutique, for a friends rehearsal dinner. There is nothing better than a simple black dress because you can really play with the accessories. 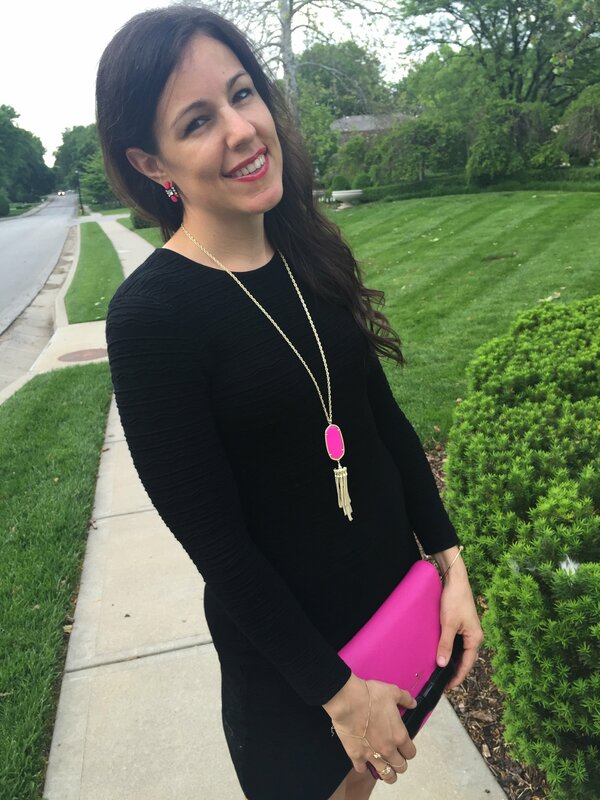 I love how the hot pink really pops on the black and spices up an otherwise plain body-con dress. The other thing I love about this dress, is it’s so versatile. It’s an easy dress to wear from day to night. I could wear my black slip-ons, seen here and here, to make it casual for daytime errands, then easily change to heels or wedges to meet up for drinks with friends.